During holidays abroad recently, I had the very agreeable and rare opportunity to visit the Mövenpick hotels, and to experience real good customer service. The second experience started badly : we arrived late at the hotel and found that our reservation, made from France, had not been registered! The bellboy called the manager, who looked things up and luckily found our booking in the central European system. Meanwhile we were offered a drink, and a seat in the hall. Yet we had nowhere to sleep at the time..
for the second night, as our hotel was full, they booked us in another Mövenpick hotel nearby, and offered diner and breakfast! This meant moving hotel, to a less fancy venue –the second hotel was older-, but eating for free largely compensated! 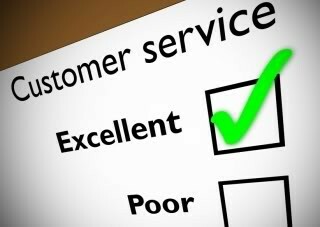 And when faced with a complaint or dysfunctionning of your service, do not stop with just compensating the product or service, but go beyond it : offer two products, or an extra service; and that will show your customer that his/her value (or lifetimevalue?) is much more important to you than just this one purchase.